At this time of year, people everywhere are setting up nativity scenes. We’re used to having an odd mixture of characters around the manger — some scruffy shepherds, some glittering angels, a few animals, and of course a brand new little family. To many of us, the characters that are oddest are the magi, or wise men. Who were they? Where did they come from? Why did they give Jesus the gifts they did? And why do we picture them as three kings traveling on camels, even though the story in Matthew doesn’t actually say this? In order to understand the significance of the wise men, you need to know more about the Scriptures and the first-century world. The visit of the magi brims over with messianic expectations, and shows us the immense importance of the birth of Christ. This is the one who Herod feared, this great king that God himself would bring into power. Notice that the queen of Sheba brought gifts, including gold, precious stones, and spices including frankincense. Sheba is at the southern end of the Arabian peninsula, where Yemen is today. It was known in ancient times as possessing fabulous wealth. Frankincense and myrrh were some of its most precious exports. Spices don’t seem very precious to us, but in the ancient world, some were outrageously expensive because of their rarity and use as perfumes, incense and medicine. 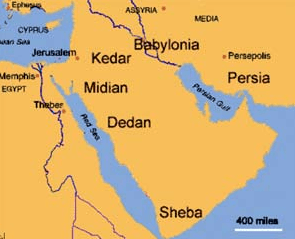 Herod gained much of his fantastic wealth by exporting spices and taxing trading routes. For millennia, camels have been used for transporting luxury goods along the spice trade routes of the Mediterranean, because they are the only animals that can survive the journey across the dangerously dry Arabian desert. That’s the reason why we have the tradition that the travelers would arrive on camels. You may have noticed that Psalm 72:10 pictures kings from Tarshish, Sheba and Seba paying tribute to the future Messiah. This is where we get the tradition that the visitors were actually kings. Over the ages, Christian readers could see that Matthew 2 was a fulfillment of prophecy, so they inferred that the visitors were actually the kings of each of these three countries. Why then do we find “wise men” instead of kings in Matthew? Most likely, because they were acting as royal ambassadors. In the Old Testament, kings often employed hakamim, “wise men,” as royal counselors, who had been schooled in magical arts like divination and astrology. (Remember how Pharoah had magicians who imitated Moses’ miracles, and how Nebuchadnezzer had wise men and dream interpreters too.) When these counselors in distant lands determined that a powerful ruler had arisen in Israel, they were sent as a royal delegation to bring gifts to pay homage on behalf of their leaders. 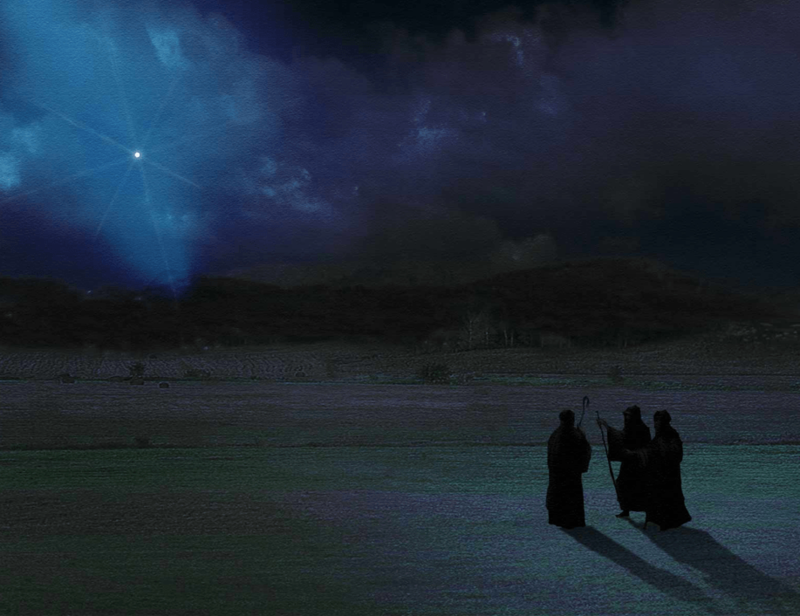 We are unsure of what type of celestial event occurred, or how the magi interpreted it, but through some kind of divination these royal counselors learned that God’s true king had been born in Israel. What I find fascinating is what this says about how the spiritual world reacted to the coming of Christ. We know that the angels rejoiced to see that he was born. But the rest of the spiritual world was in an uproar too! As the angels were proclaiming their joy to nearby shepherds, demons in far away lands were telegraphing the news to pagan magicians, shuddering as they reported that the Son of God had just arrived on earth. Not only was he Lord of all the earth, he wielded ultimate authority over the spiritual world too. The visit of the magi should remind us of the power and authority of Christ. His coming was not just earth-shattering but “heaven-shattering” news, rocking the spiritual world as well! 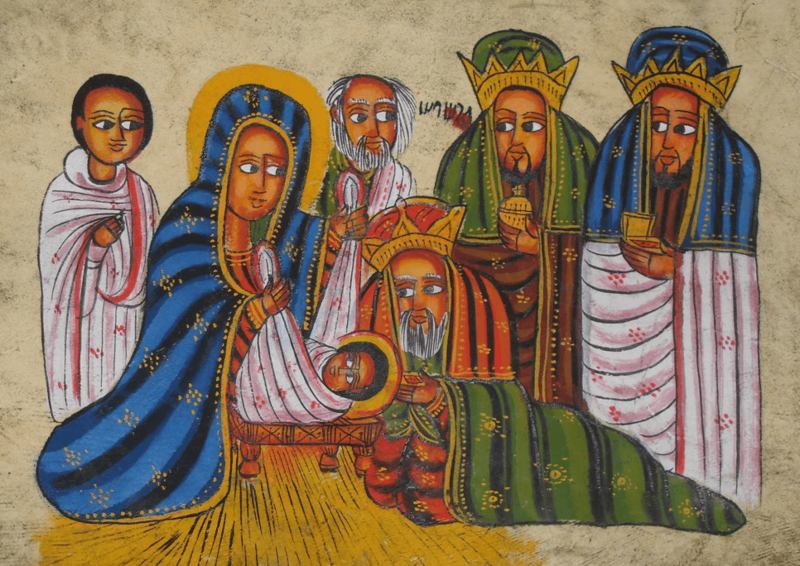 One of the things we overlook when we talk about the wise men from the east is that they are referred to as the Magi from the east not as kings. The Magi were a type of Priestly / diviner come advisory group attached to the Babylonian and Medo Persian kings. One of their main roles was also dream interpretation, and it was this group of men who were involved with Daniel during his life under Babylonian and Medo Persian rules. Daniel was also appointed chief of the Magi, and if we read Daniel we note that He was given the time of the Messiahs arrival and the history leading to that arrival. So with that background it is quite possible that these Magi many generations later used this information in their search for this King who was to come. Also we note that the method that God warned them not to report back to Herod about Christ was in a dream, something they would have accepted and understood. Nowhere in scripture does it say they were men, although we know most societies of that day were strictly patriarchal. And nowhere does it say there were 3 of them. We know they certainly did not appear at the manager as scriptures tells us they came to the home and if they had been so sure it was a newborn, Herod would not have ordered the slaying of every male child below the age of 2 years. True. Matthew doesn’t say much at all about them. Most of what we assume about them is inferred by context and history. Herod was known for wanton violence – I’m not sure that his edict against infants up to two would tell us that Jesus was older. Herod probably didn’t care how old the babies were. Yes, I mentioned that Matthew doesn’t say that there are three wise men. But then I explain how Psalm 72 and Isaiah 60 caused readers to fill in those details. Matthew 2 states “wise men” and 3 gifts of gold, frankincense and myrrh were brought to Jesus. Thus the understanding of 3 wise men. Lois, I love history and thank you for the joy your insights on scripture give to me. Hi Lois, I always enjoy your writings. I recently read, and recommend, “Revelation of the Magi: The Lost Tale of the Wise Men’s Journey to Bethlehem” written by Brent Landau. The book contains the first-ever English translation of an ancient Syriac manuscript, as well as commentary and references by Mr. Landau. The book also contains some interesting artwork which exhibits influences of the ancient manuscript. While people are caught up in the spirit of Christmas, what joy it is to to indulging in the feast of Mesiah through these wonderful articles. Beautiful, insightful comments too. God’s Blessings. Beloved of Yeshua. What about the passage in Numbers 24:17? Doesn’t that come into play? I see from Isaiah passages that “kings” are certainly part of the understanding, but why not also the sages of Israel who were still in Babylon at the time of JESUS’ birth? Could I humbly add to Richard Allkins contribution? Because Dani’el got it right when interpretation was needed, the king spared the lives of the so-called Magi. As Richard points out, Dani’el was made Chief. If your life has been spared because someone got it “right”, wouldn’t you then want to know more of the source of that “right”? I am sure Dani’el did not hesitate to name HaShem as the source of his interpretation and encouraged the other Magi to worship Him. If so, then possibly those who did come to believe in the God of Dani’el also became followers, thus proselytes. The Magi who came to witness the birth of Messiah, were they followers of HaShem, and thus Jewish? Stars and comets were associated with kings – that’s why Bar Kokhba gave himself the messianic title “Son of the Star.” This prophetic imagery adds weight to the interpretation that the visitors were emissaries bringing royal tribute to honor the newborn king. It’s an interesting thought about the influence of Daniel. But remember that magi, or hakamim (magicians, dream interpreters, counselors, astrologers) were common in the courts of pagan kings. Pharaoh had them too. I’m doubtful that they were from Babylon. This text, like much of Matthew’s birth narrative, is pointing out how Christ’s birth fulfilled prophecy, and there are several prophecies about royalty coming from Arabia to bring fabulous gifts that this region was uniquely known for, particularly frankincense and myrrh. Hi Lois, Thank you for writing this and giving insight into Sheba. For me the dots connected back to Daniel as well. Who would be looking for the Messiah = Jewish exiles. They would be the ones looking for the true king. I don’t see pagan kings and their magi really interested in that or searching for that. They didn’t have the scriptures, (Torah) or the revelation that Daniel had. In Daniel 2:48 we find that Daniel was placed in charge of all the wise men of the province of Babylon. I believe that Daniel taught these men the scriptures and the prophecy revealed to him. They in turn passed down to generations after them and it may have been those steeped in truth and knowledge of the prophecy and signs who journeyed to the child Yeshua and brought gifts. I read the article the Magi and their Heaven Shattering News. It was about the culture of Jesus’ day about the Magi, because we always talk about them around Christmas time but it gave some light to the backstory of what Magi really were back then. I thought it was a really interesting article, that Magi had a place in that world since we know little about them in our culture. I liked how she wrote about a bunch of old testament connections like giving similar gifts to Solomon and I agree with what she said about the magi should remind us of the power of Christ. I have a question for the author, and my question is what goes along with the culture of following the star? We know they were astronomers, but could you really follow a star all the way to a city, or does it have an old testament significance? I also like the points about how his arrival is Heaven shattering because of the angels. Reading this article really gives a new perspective on the traditional American nativity scene that is shown today all across the country every Christmas. 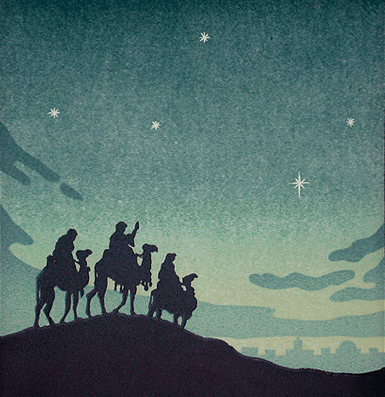 The idea that these wisemen were not just men who followed a star and brought very precious and expensive gifts to the Messiah, but they were most likely ambassadors for kings in the Middle East. It’s especially enlightening that scholars can make Old Testament connections to these New Testament stories and really prove that Jesus was the coming Messiah. It would also make sense that they would’ve taken camels being the fact that they’re one of the few species of animals that can survive in a climate and habitat there in Israel and surrounding areas. The article I read on Our Rabbi Jesus was about the Magi. In the article it talked about why the Magi in the story are important. The author talks about how in the time of king Solomon the queen of Sheba heard about the fame of Solomon and came baring gifts of gold, spices, and precious stones. The author author says this is what rulers would do. They would bring gifts to a king to create alliances. The way kings sent these gifts is by Magi who were like ambassadors in that day and age. Over all this just helps prove that Jesus was God because other kings respected him and brought him gifts.